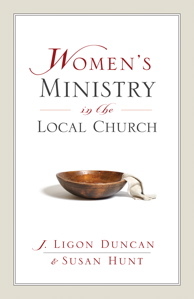 We'll be starting a discussion of Women's Ministry in the Local Church over at Offering Hospitality this fall. In the meantime, thanks to Crossway Books, (my publisher of choice for today, apparently! ), I have one copy to giveaway. However, the giveaway is over at Offering Hospitality and so I have closed comments on this post. In order to be entered to win a copy, CLICK HERE. Simply leave a comment to win. I hope you'll consider the read and consider following the discussion of it which will begin in September. The more the merrier!